Because buying a house is a big financial step, buyers mull a lot of considerations before making a purchase. It can therefore be challenging for sellers to close a deal. The competition is intense, so, you need to find ways to spotlight your property effectively. Be aware that buyers now possess a wider range of tools and sources to find the type of home they desire. Know which tools they use to boost the presence of your real estate in Frisco. Photos tell good stories, and consumers in general are visually inclined. They like to see what the house looks like at every angle. Therefore, pictures make an online listing more compelling, which in turn, expands your listing's reach. In fact, listings with more than six high-quality photos are two times more powerful than less-visual listings. If your listings highlight the visual appeal of your home, buyers are more likely to drive to the property and personally check it out. Buyers want to see how the current owners of a home treat and care about the property. It lends a sense of how their life might be in the same house. To provide a full view, grab a video camera and record a virtual tour around the property and the neighborhood. Show the different rooms and talk about your favorite spots in the house. Go around the neighborhood as well to give the viewers a feel for the type of community surrounding the home. Point them to your favorite dining places and show them community activities that draw participation by residents of the neighborhood. Inviting your neighbors to an open house can help you turn this activity into a block party, which can make potential buyers feel like they belong. Post your advertisement to community online message boards and email lists so your neighbors can relay it to people they know. This way, you’re already integrating the potential buyer into the community and suggesting to them that living in your home is a wise decision. A lot of homebuyers own Facebook accounts. Sometimes they even look for homes for sale by posting statuses. Your listing can be seen by thousands of people if you promote it on Facebook. Your Facebook friends can even connect you to their friends who are planning to buy a property. It’s about building a network of people who are actually planning to have their own home. Facebook can prove to be a one-stop shop for this. Leaving goodies behind can make buyers feel they’re appreciated and receiving something for their interest. Closing-cost credits, which help buyers spruce up the house after purchasing it, are all too common now that they no longer separate a property from the rest. By giving away some personal items that interest a particular buyer, your offer becomes more irresistible and unique. Some of these items may pose as immediately unattainable to the buyer whose budget is strapped by the purchase of the home. Giveaways might include a HD flat-screen TV, stainless steel kitchen appliances, or similar items. 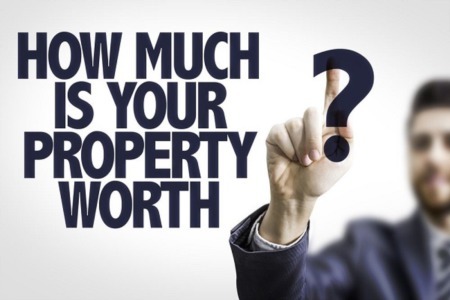 Marketing your property proves essential if you want to find a good buyer fast. It can be tricky with the range of real estate properties on the Frisco, TX market today. Just put yourself in the buyers’ shoes to understand what they want and need so you can appease them. It’s also best to work with real estate experts who offer marketing services to sellers. They know the ins and outs of the market, as well as the entire buying process. They can help promote your home to the kind of buyers fit for it. That's what we do here at Nu Home Source Realty. Call us today! 866.761.5217.